Samwell Tarly: You’re the true king. Aegon Targaryen, Sixth of His Name, Protector of the Realm, all of it. 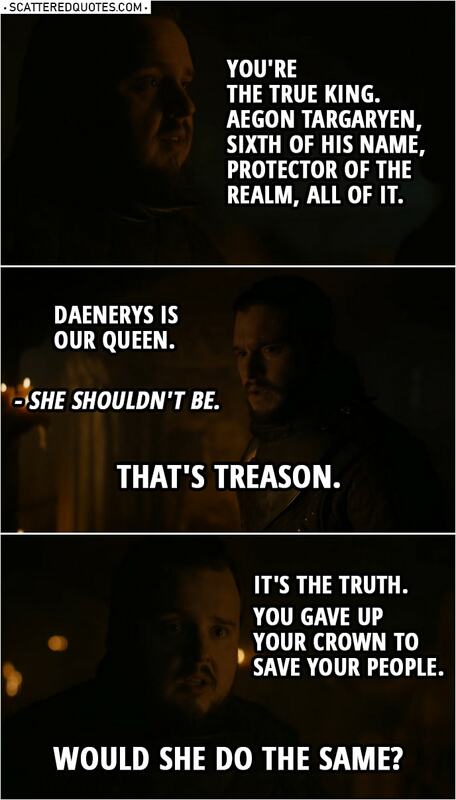 Jon Snow: Daenerys is our queen. Samwell Tarly: She shouldn’t be. Samwell Tarly: It’s the truth. You gave up your crown to save your people. Would she do the same? 15.4.2019 You gave up your crown… Would she do the same?